Xiaomi Mi Sphere (reviewed here) is one of the best 360 cameras for photos, but had been frustrating for iPhone users as they were unable to use the best app for flawless optical flow stitching, at least until now. 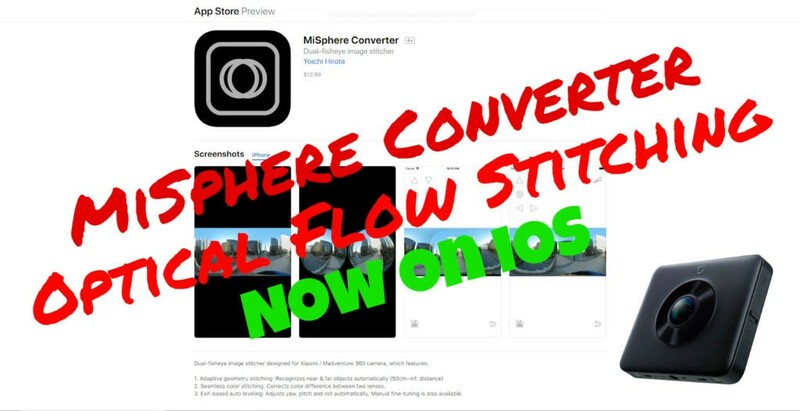 Mi Sphere Converter is a 3rd party app that not only improves the stitching quality but even improves colour difference between the lenses, auto horizon levelling, plus with manal fine tuning. Do you use the Ricoh Theta V? Do you have any tips you'd like to share?